We know that different people have different markers. Where did these differences come from? They couldn't have come from nothing, so they must have always existed. Are you talking about the boundaries between races? Each haplogroup is defined by a mutation which distinguishes it from the previous haplogroup by which it is derived from. 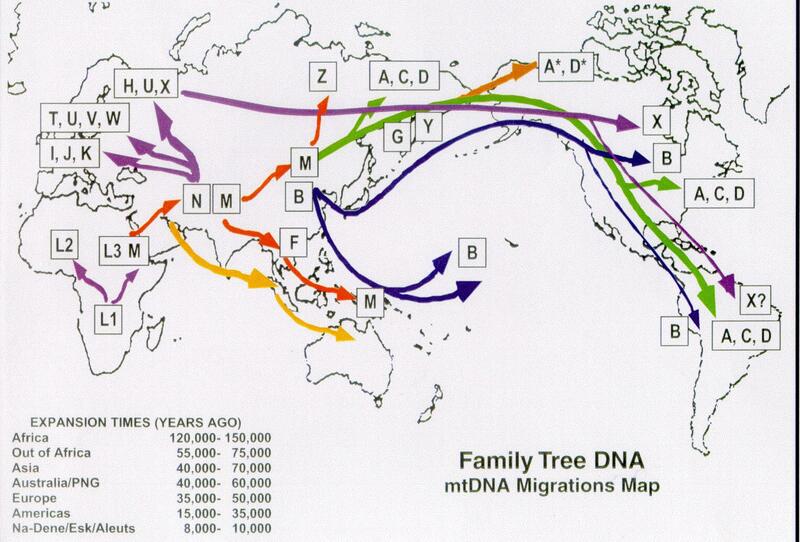 Within haplogroups, sub-clades exist which are referred to as haplotypes in certain instances. When a sub-clade is formed which yields a deviation too great from the ancestral(oldest) sub-clade by which other sub-clades within the haplogroup are derived from, a new haplogroup is formed. Such is seen in the case of Hg 1, which is ancestral to the newer Hg 22, which is comparatively common among the Basques. The Basque population became genetic differentiated from other Western Europeans to which a new haplogroup is formed within their population. However, the older Hg 1 is still more numerous. To answer your question, all haplogroups are derived from other haplogroups. The exceptions are paternal Hg 7 and maternal L1, which, to the best of my knowledge, are the ancestral haplogroups of their respective genders. Here are two charts/maps which may interest you.